What are the top landmarks in Basel? Spend hours walking around one of the country’s most impressive zoos .Marvel at the thousands of animals roaming around their large enclosures. You can spend an afternoon browsing the exhibits at Vitra Design Museum during your trip to Weil am Rhein. Experience the museums and art scene in this walkable area. Enjoy a stop at Marktplatz, a landmark worth seeing in Altstadt Grossbasel. Discover the museums and monuments in this walkable area. Admire its exquisite architecture, peer from the towers over the city or just soak up the atmosphere of Basel’s most important house of worship. You can study the exhibits at Vitra Design Museum, a museum with a story of its own, during your holiday in Basel. Experience the museums and art scene in this walkable area. Art enthusiasts set up a foundation to collect modernist pieces in the 1980s. Now, a large complex with a scenic garden hosts the inspiring collection. Basel City Centre is a welcoming neighbourhood. The neighbourhood’s festivals and rich culture are just a couple of its charming qualities. Broaden your horizons with some local historic landmarks. Vorstädte is a welcoming neighbourhood. Clara is a neighbourhood that welcomes all visitors. Breite is a welcoming neighbourhood. 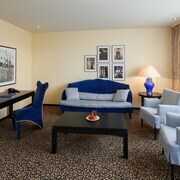 Great value and excellent for a short stay in Basel. 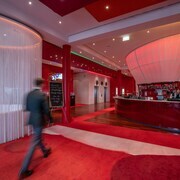 Lovely hotel, good area, local bars/food or 10 mins walk into Basel. Fantastic located in the centre of Basel, the staff catered to our to needs with a added bonus of zsussana speaking English made the experience feel even more easy. 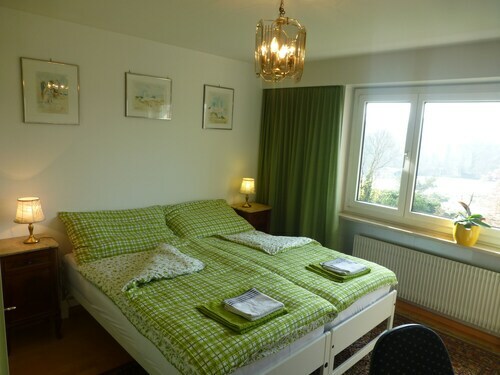 Fabulous, situated in nice quiet area of Basel, not far or not too close to Hubble and Bubble. 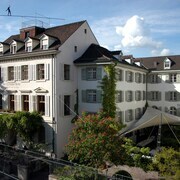 we stayed in the hotel Spalentor before and we find it a great base to stay at when we are in Basel. 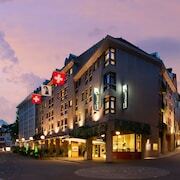 Looking for a hotel in Basel? This picturesque and historic city – known as Switzerland’s cultural capital – offers a great variety of places to stay to suit all kinds of visitors. 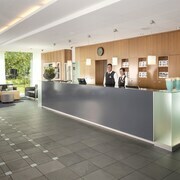 Whether you’re searching for smart business accommodation with top-notch facilities and transport links, a luxury hotel perfect for romantic riverside walks along the Rhine or a family-friendly place close to Basel’s great museums, attractions and shops, you’re sure to find a Basel hotel that’s right for you. Located right on the border between Switzerland, Germany and France, this esteemed university city is home to the highest concentration of museums in Switzerland, as well as a highly-regarded symphony orchestra and several internationally renowned theatres. So it’s natural that many visitors look for a hotel in Basel that’s close to all that culture. 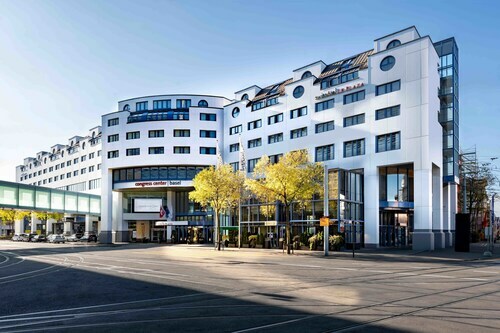 Find a place to stay on the south side of the Rhine and you’ll be near many of Basel’s top tourist attractions, including Basel Art Museum, the Museum of Culture and Basel Zoo. Explore the fascinating streets of Basel’s medieval Old Town starting at Marktplatz, with the stunning 16th-century Rathaus, and see if you can spot the three surviving city gates among the many beautiful historic buildings. 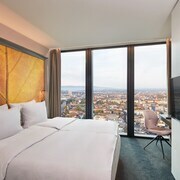 To see a completely different side to the city, pick a Basel hotel that puts you within reach of famous modern buildings such as the central City Lounge or the Vitra Campus and Design Museum in Weil am Rhein. There are even three special architecture trails you can follow to help you discover Basel’s spectacular buildings. Basel is a city that loves the outdoors. If you’re staying in the centre, you’ll find plenty of parks and open spaces for walking, sports or a spot of relaxation. And the magnificent River Rhine winds its way through the city, inviting you to explore its banks on foot or take a longer trip by boat. Water is a big part of enjoying the great outdoors in Basel. In summer it’s common to see locals taking a refreshing dip in the river or chilling out at one of the water and sauna parks close to the city centre – try Laguna Badeland, Sole Uno and Aquabasilea. 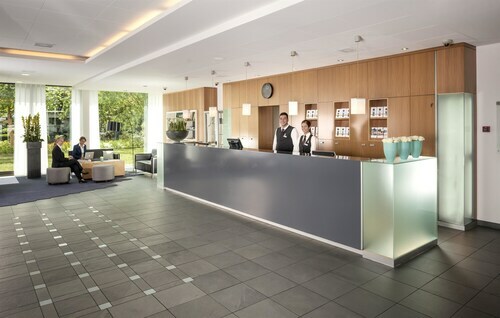 And being on the border between Switzerland, France and Germany means staying at any Basel hotel gives you the perfect base for exploring some of the beautiful landscapes of all three countries. The Black Forest, Alsace and the Jura Mountains are all within reach. In February or March, just when you might think the city is at its quietest, the streets of Basel come alive with celebrations. The non-stop, 72-hour Fasnacht festival kicks off at 4am on the Monday after Ash Wednesday. Thought to date back to the 16th Century, it’s the biggest event of its type in Switzerland, featuring music, performances, masked processions and lantern parades. The huge range of attractions and hotels in Basel make it a pleasure to explore. Whenever you visit, you’ll be able to get right to the heart of the action and see for yourself just what makes this city so special. Explore Basel with Expedia's Travel Guides to find the best flights, cars, holiday packages and more!